In 2012, Mark was asked to judge the Book Cover Design category at the 50th D&AD Awards in London (the Design and Art Directors Association). 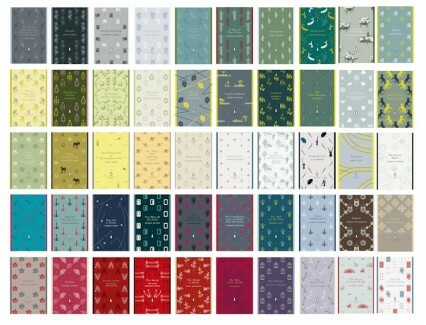 On the jury was the esteemed book designer Coralie Bickford-Smith. 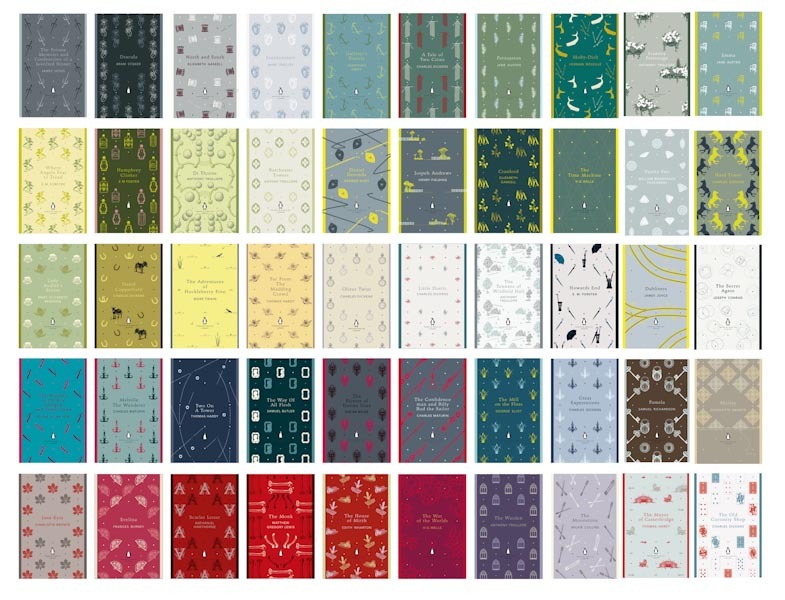 Whilst judging the awards Coralie kindly asked Mark to illustrate a cover for her current project, the Penguin English Library, a set of 100 classic books designed along a stylish series style. The brief was simple, to create an illustration and choose a colour palette working within a grid system provided by Coralie, and alongside the other most excellent illustrations produced by some of the best designers and illustrators out there. Check out the list below. 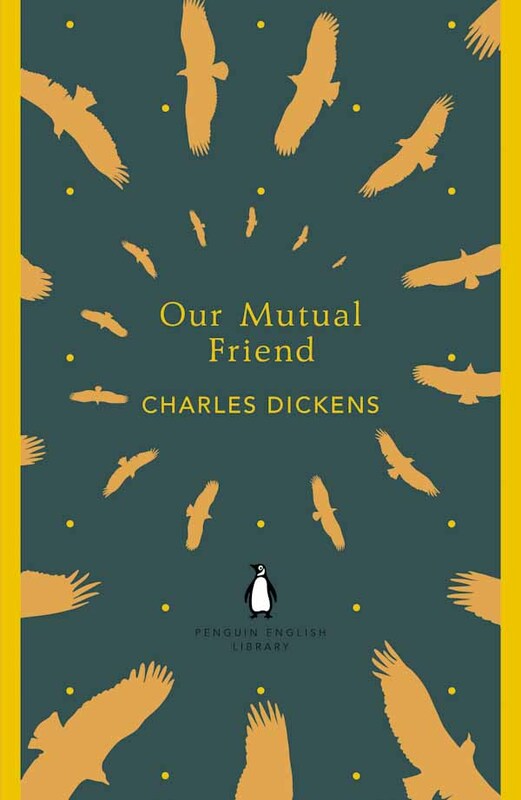 Mecob’s title was Our Mutual Friend by Charles Dickens. There were various themes in the book, we worked our way through the obvious ones such as drowning, water and money, and moved to the theme of predation. The plot centres on the fate of an inheritance and the various people pursuing it. Vultures circling came to mind as a perfect metaphor for it. Contrasting against a lot of the other illustrations in the Library which were more geometric, the circular feel stood out for us. 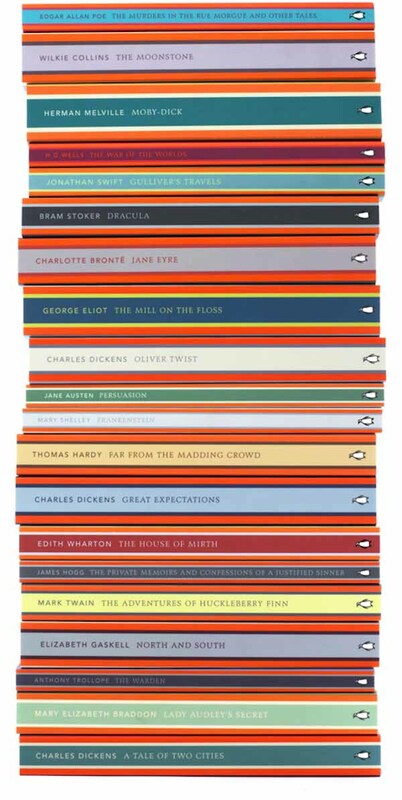 It was an honour to work for Penguin Press on anything, but even more so after it was nominated in the D&AD Awards 2013, for Brand Expression in Print. You can read more about the D&AD Awards judging in PRESS & AWARDS. Illustrators: Mick Brownfield, Despotica, Matt Dorfman, Sara Wood, Neil Gower, Jim Tierney, David Mackintosh, Tom Johnson, Anna Salmane, Benjamin Anslow, David Wardle, Jenny Grigg, Emma King, Alex Allden, Joji Koyama, Richard Green, Matt Young, Antonio Colaco, Imogen Boase and Yeti Lambregts. All art worked by Viki Ottewill.